Dogs are the perfect and most loyal friends of human beings. They mean the world for some people. We bring them into our homes, provide them with toys, beds, and even state of the art medical care. When it comes down to their daily meals, we try to give the best for our dog. Feeding a healthy dog food is really important. Just ensure that your dog’s diet includes all the necessary and essential nutrients that is required to keep your dog healthy and strong. If you are looking for some tips to take care of your dog’s nutrition, here are few tips to improve your dog’s diet today. All the commercial dog foods that come in the market are complete and balanced, but what matters is the quality of the ingredients that is used to make it can make a big difference in your dog’s health. The ingredients like corn are less digestible than proteins, and the corn used in dog food is typically fed grade and contain toxic bugs. To keep your dog’s diet healthy and safe, you should opt for and choose the food which is grain-free with a named animal protein as the first ingredient. Excessive eating can be harmful too. Always take care of the diet of your dog and make sure that he doesn’t eat less or more and take adequate diet only. Feed your dog according to his weight only. If your dog needs to lose weight, then feed during the day so that your dog can burn more calories. You can order the food online and avail discounts using the pet food coupons. If your dog needs to gain weight, then feed him closer to bedtime so that your dog doesn’t burn too many calories. Most of the dogs don’t get Omega-3 fatty acids. This fatty acid is rarely present in the food items available for your dog in the market. Adding fish oil to your dog’s diet will replenish your dog’s omega-3 stores, resulting in better skin, better joints, and better heart health. It helps in building his health and makes his bones and joints strong. In order to keep your dog healthy and story, make sure that he gets all the nutrients in the proper amount. It is another great supplement to consider in your dog’s diet. Coconut oil acts much the same way as fish oil regarding skin and coat health, and may also work to reduce allergens experienced by your pet. Another most important aspect of a healthy diet of a dog is to include water in his diet chart. Always keep a bowl of water near your dog’s kennel. Tap water contains harmful chemicals that can cause problems to your dog’s health and well- being. Right amount of purified water with proper food keeps your dog healthy, fit and active throughout the day. Always include organic fruits and vegetables in your dig’s diet to keep him healthy and strong. There are a lot of fruits and vegetables that are genetically modified. Be sure to feed organic fruits and vegetables. Genetically modified foods disrupt the DNA by turning genes on and off and changing their levels of expression. Your dogs can easily absorb the nutrients found in whole foods. You can either puree the whole food or feed raw. 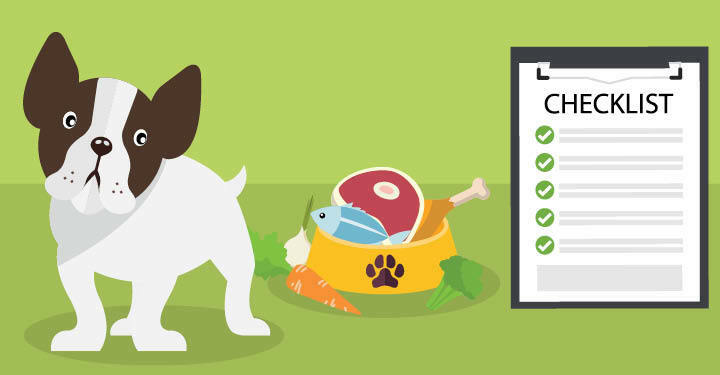 First, research what vegetables and fruits your dog can safely eat. Fresh vegetables and fruits are full of live enzymes that can improve your dog’s health. They also contain fiber that can help your dog’s digestive system by improving stools and constipation. Never ever include Gluten in your dog’s diet. Many commercial pet foods contain gluten in order to preserve shelf life. Gluten is added to pet food to prevent inferior and unstable fats from becoming rancid. Gluten can strain your dog’s liver and kidneys. Always check the ingredients of the dog’s food before buying it for your dog. Small corn gluten quantities can be harmful to your dog’s organs. Take special care before buying any type of food that it should not contain Gluten. It can arm your dog’s health and create bad effect. In order to reduce inflammation in your dog and improve his heath and keep his diet in the right direction, feed whole foods that are high in antioxidants and anti-inflammatories. Inflammation in dogs is serious as it can cause premature aging. You can minimize this by adding whole foods to your dog’s diet. You many think that only the quality of the ingredients of food matters for your dog’s health but that’s not the complete truth. What kind of food you provide to your dog makes a big difference. Dry food is perhaps the least healthy for your pet, due to how it is made. The high temperatures used to cook it can remove much of the nutritional value, and also stress your dog’s kidneys with its abnormal dryness. Canned food is superior due to its moisture content and lower cooking temperatures, and a balanced, fresh food diet is best of all. Always keep a check that your dog gets fresh and healthy food only. The most loyal friends of the human beings are dogs. They always help their masters without any condition. So, it is our duty to take care of their health and diet and provide them with all the facilities and healthy food in return. Above are mentioned some of the important top ten tips to keep in mind if you wish to improve your dog’s diet today. Follow all these steps and take care of your pet since they cannot speak, but are in need of the same love and care as a child does.